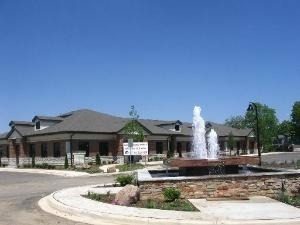 Built out unit and one of five Fountain Square office condos for sale in Fountain Square retail and office development Located immediately off of Algonquin Rd. Beautiful new construction with an all-brick exterior. Ample parking & great location. Units range from 610 sq. ft. to 1200 and can be combined for a larger unit. 1194, 1198, 1200 E. Algonquin Rd. and 1206 and 1212 E. Algonquin Rd.